Last year, a Google Doodle marked the occasion of Virginia Woolf’s birthday. This year, it’s a book offer. 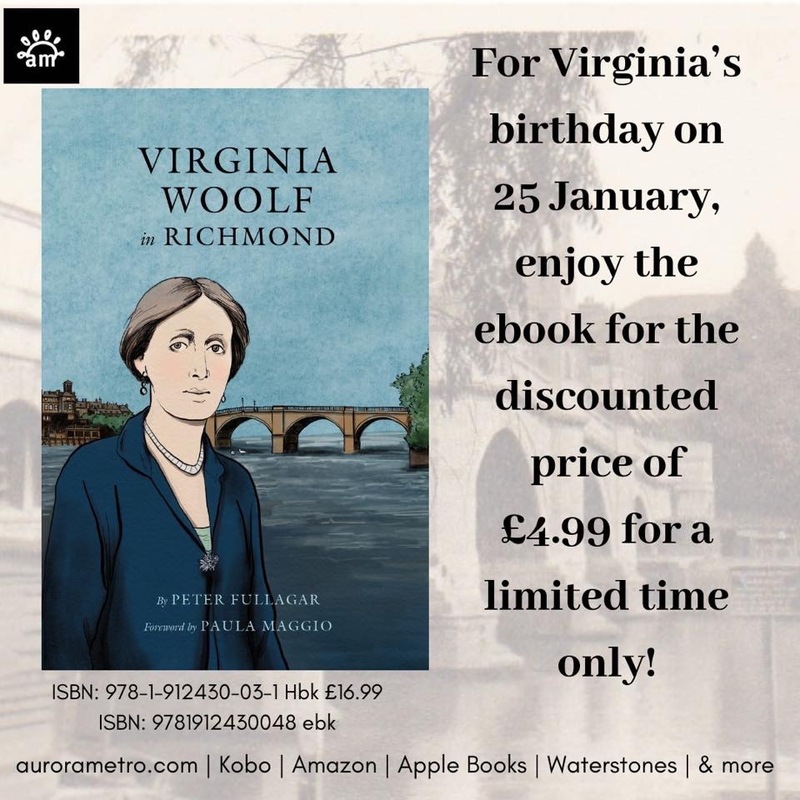 Today, Jan. 25 only, in celebration of Virginia Woolf’s 137th birthday, you can purchase the ebook version of Virginia Woolf in Richmond for £4.99. Meanwhile, read Woolf’s own diary entries written on her birthday or the day after from the years 1897 to 1941. Some refer specifically to the gifts she received, the things she did and the people she saw on her birthday. The last one, written on Jan. 26, 1941, the year of her death, does not. 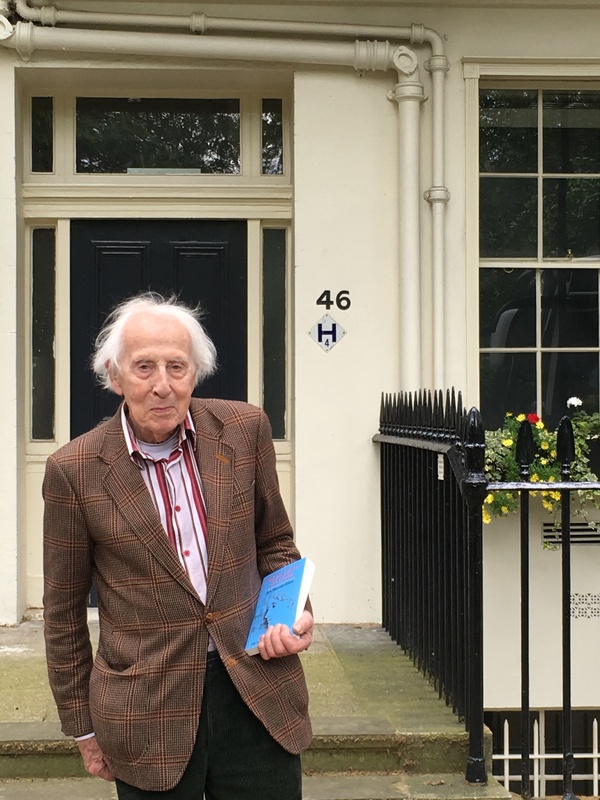 Happy 91st birthday to Cecil Woolf, author, publisher, conference attendee and speaker, Bloomsbury walker, party giver, plaque unveiler, and the oldest living relative of Virginia and Leonard Woolf. We wish we could be with you to celebrate today. Instead, dear man, we toast you from near and far. You can read more about him in last year’s birthday post. 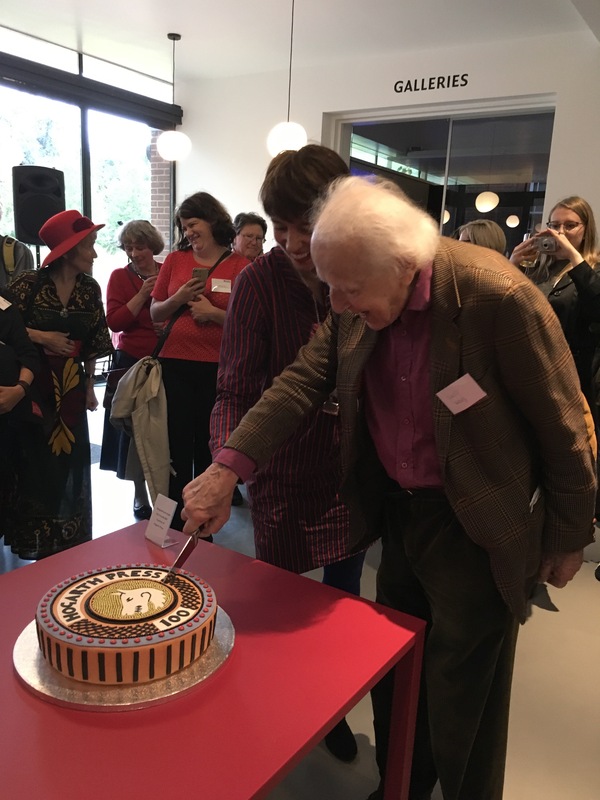 Cecil Woolf cuts the cake designed by Cressida Bell for the 100th birthday party of the Hogarth Press last June in Reading, England. 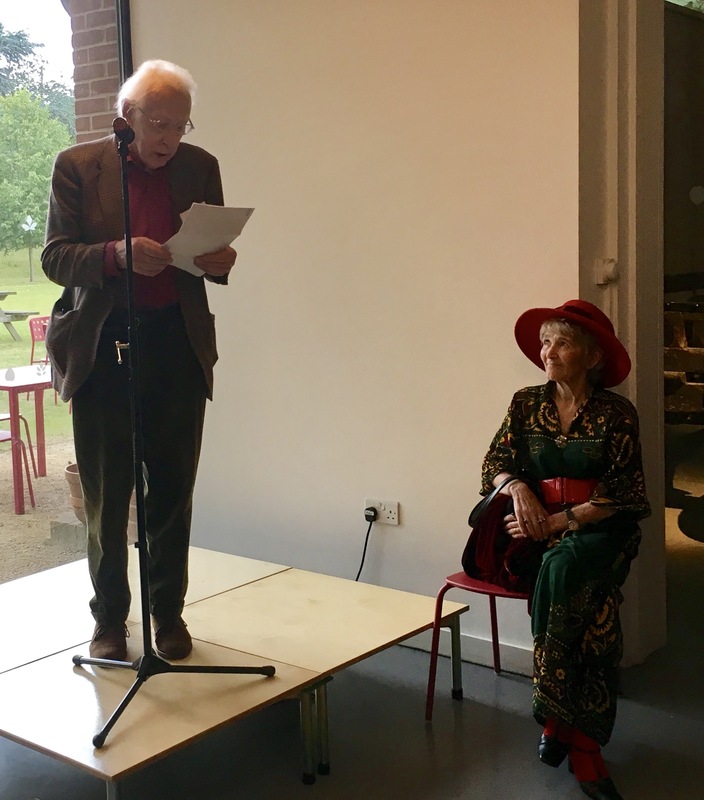 Cecil Woolf, accompanied by his wife Jean Moorcroft Wilson, talks about being The Other Boy at the Hogarth Press at the 100th birthday party for the Hogarth Press in Reading, England last June. 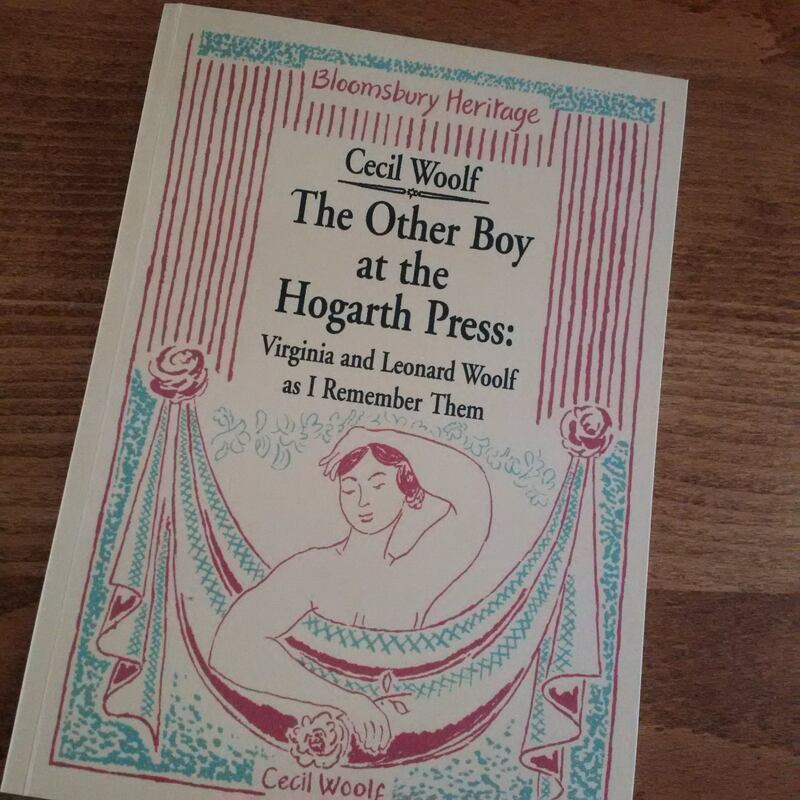 Cecil Woolf published his story, The Other Boy at the Hogarth Press, last spring, unveiling it at the 27th Annual International Conference on Virginia Woolf. 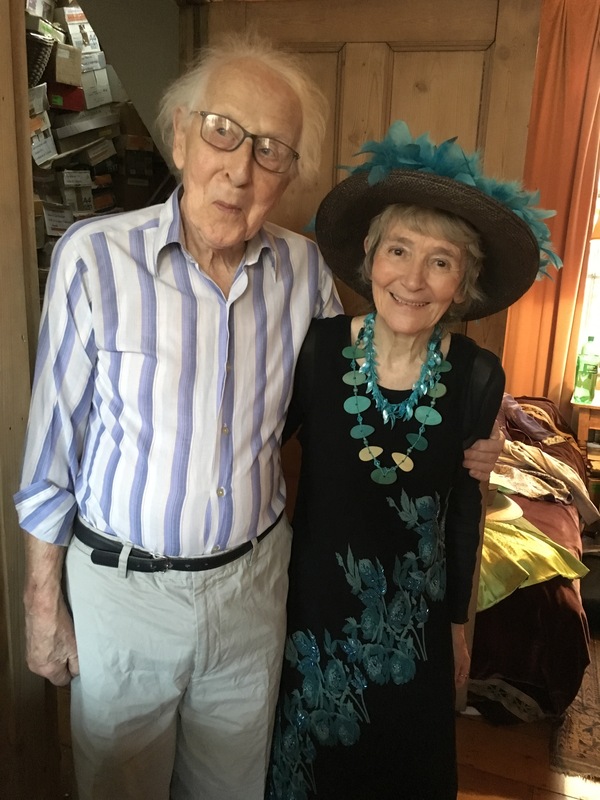 Cecil Woolf and Jean Moorcroft Wilson at their post-conference party last June at their London townhouse. Cecil Woolf stops at 46 Gordon Square, London, while giving Blogging Woolf a personalized tour of Bloomsbury in June 2016. 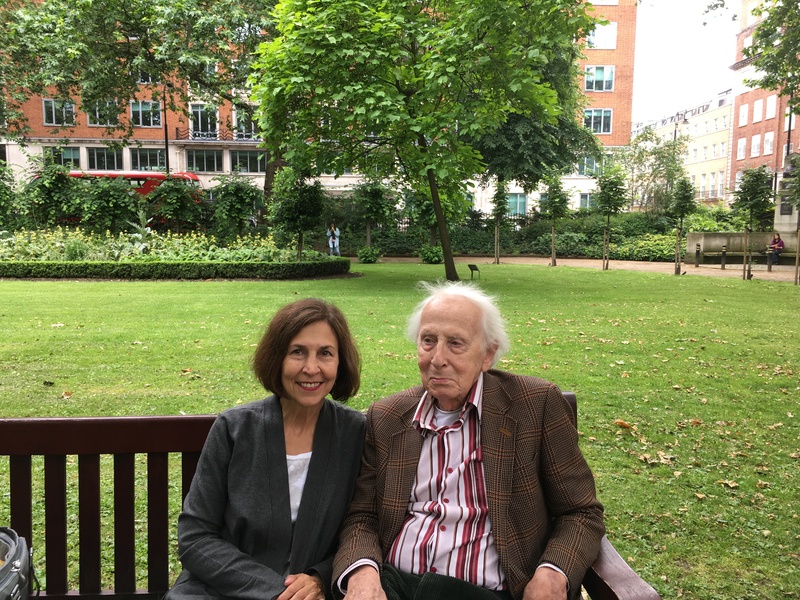 Taking a break with Cecil Woolf in the Tavistock Square garden after the 2016 Woolf conference. Literary Hub has posted a brief visual history of covers of Virginia Woolf novels, and it is definitely worth a look. It was the site’s happy 136th birthday message last week. I had fun identifying the versions I own from 1919 to the present. Header photo on the Literary Hub post. Virginia Woolf’s 136th birthday was a big one. Google Doodle led the way by using its daily doodle to pay homage to her on her special day. The drawing lit a Woolfian wildfire of birthday candles that spread across the globe, with media big and small sharing the news, along with social media users. At The Guardian, author Kait Welsh suggested that we celebrate Woolf rather than Burns on Burns Day, as they share the same birthday. At The Weekly Standard, Chris Deaton admired Woolf’s extraordinary writing in To the Lighthouse. At The Independent, Joe Sommerlad discussed what makes Woolf famous. At Quartz, Thu-Huong-Ha extolled the lessons Woolf teaches about how to be a thinking woman. Marie Clare shared nine important feminist Woolf quotes from A Room of One’s Own. Mental Floss shared some, too. 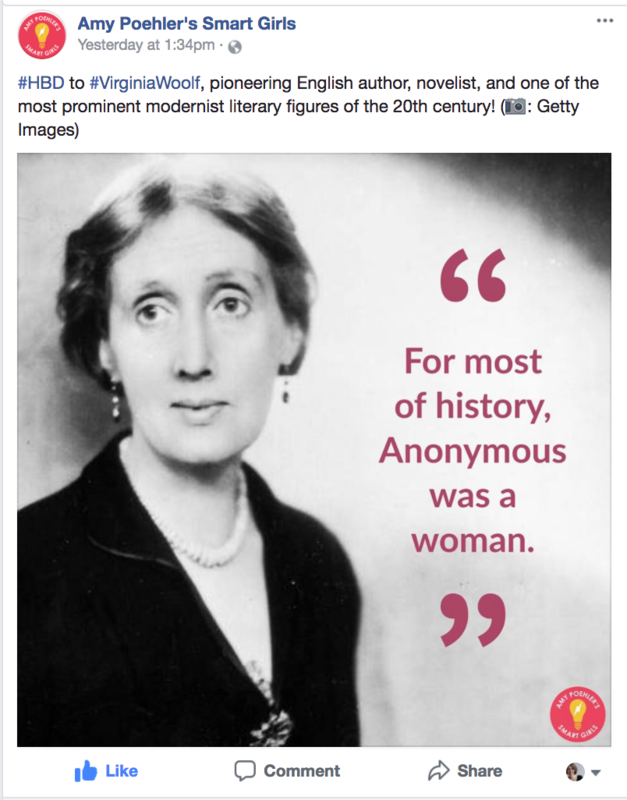 At the Deccan Herald, readers were challenged with a Woolf quiz. 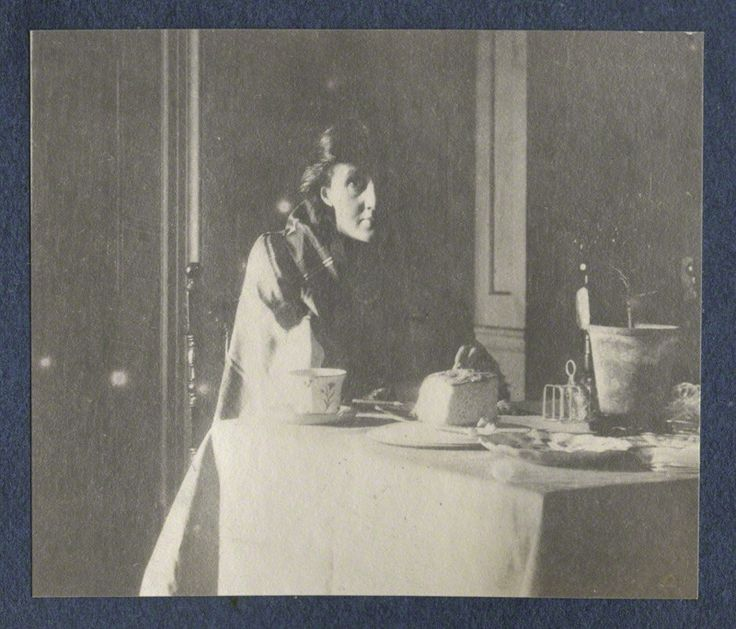 On Facebook, the Great British Tea Party posted an image of Woolf taking tea with Ottoline Morrell. Goodreads shared the Google Doodle on its Facebook page. Amy Poehler’s Smart Girls Facebook page posted a tribute, along with many others. And Twitter blew up with birthday greetings, including a special one from National Trust Books that featured Monk’s House and another from the National Museum of Women in the Arts that showed Judy Chicago’s preparatory drawings for her Woolf plate in The Dinner Party. Today would have been Virginia Woolf’s 136th birthday, and Google has taken note by creating a Google Doodle in her honor and sharing the evolution of the doodle, along with a map of its global reach. There’s a YouTube video, too. But be forewarned. The audio track is an annoying electronic voice. No surprise that the Google Doodle got some good press — from CNET to The Sun to media worldwide — and that the story blew up on Twitter. Knowing how relevant and immediate Woolf’s writing is, it’s also no surprise that Vox writer Constance Grady connected Woolf to the #MeToo movement. She wrote a piece on the unsettling nature of Woolf’s polemical writing today. The Independent posted an article about how Woolf, as a pioneering female novelist, revolutionized fiction. Woolf’s accomplishments as a prolific letter writer were noted as well by the launch of the Frances Spalding book The Illustrated Letters of Virginia Woolf. Yesterday Spalding gave a talk about the book and Woolf’s letters at Waterstones on Gower Street in London as part of the launch. Lucky us. If we couldn’t be in London for the Virginia Woolf Society of Great Britain’s Annual Birthday Lecture in honor of Woolf, we can still catch it online — in its entirety. 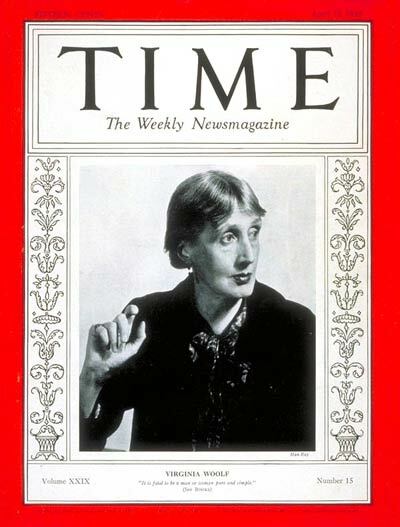 Listen to Woolf biographer Hermione Lee’s fascinating lecture, “To pin down the moment with date and season.” In it, she talks about the importance of memorable dates in Woolf’s fiction and in her life. It’s Virginia Woolf’s birthday, and here is her horoscope for the day, along with a musical tribute to Aquarians, of which she was one. The predictions for her day make me think she would have spent it with some of her Bloomsbury friends after calculating her likely income from her book sales and other ventures before deciding on a new improvement to Monk’s House. Rekindle happy memories by touching base with old friends. Scrutinize financial investments before taking action.